Outbound lanes of the Bishop Ford Freeway on the city's Far South Side are shut down Sunday evening after a multi-vehicle crash. CHICAGO (WLS) -- The outbound Bishop Ford Freeway re-opened after being shut down for three hours Sunday afternoon due to a fuel spill. 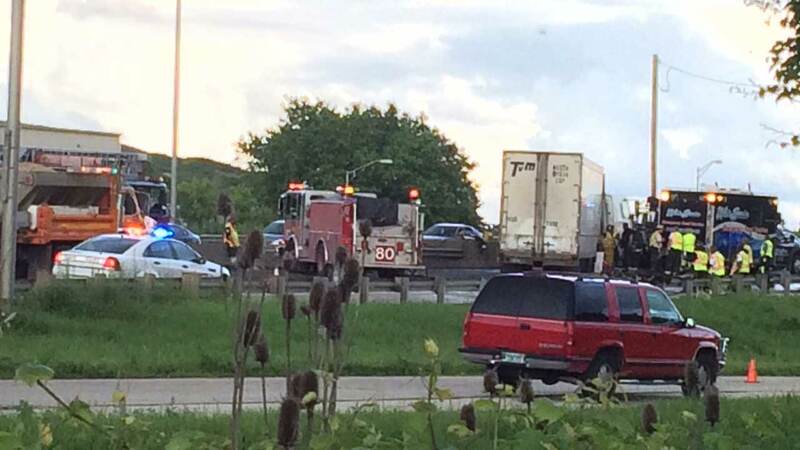 Diesel fuel leaked from a semi that was involved in a crash at 130th Street. No one was hurt and the fuel has since been cleaned up. A rainbow frames the scene of a multi-vehicle accident on the Bishop Ford Freeway Sunday afternoon.